Everyone agrees that supplier-retailer collaboration promotes a leaner, more profitable supply chain for all – in theory. But, in practice, there are a ton of reasons it doesn’t work out that way. As this article in RetailTouchPoints.com warns, the growth of omni-channel sales and distribution (including the rise of e-commerce) means the pressure is on retailers more than ever to ensure products are available at the right time, through the right channel and at the right price. The rewards, the article points out, are impressive. But, as we all know, successful collaboration is easier said than done. 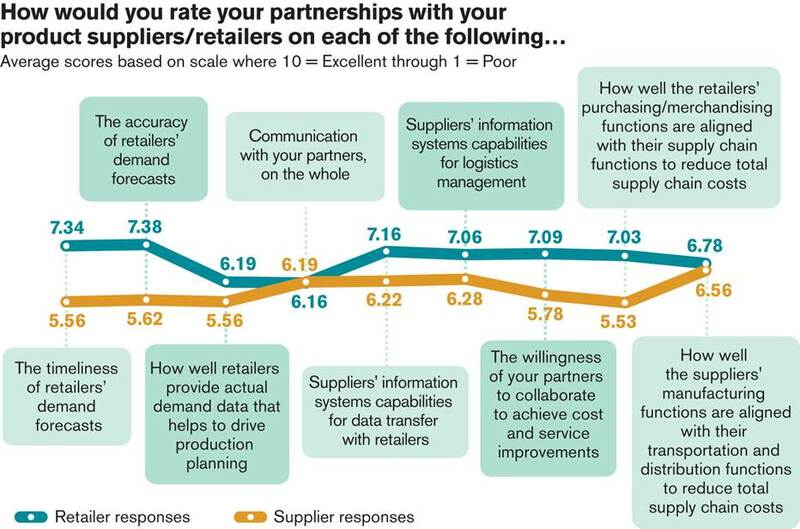 When Kane Is Able first published the results of research into supplier-retailer collaboration, we found that one reason is a perception gap - while retailers and suppliers both acknowledge the value of greater collaboration, neither group believes that they are doing a great job. A recent sign that this problem is being taken seriously was the news that business software provider Infor Inc. is acquiring Predictix LLC, with a view to merging the company’s consumer-demand forecasting technology into its own supply-chain management systems for retailers. In Aug. 2015, Infor bought GT Nexus, one of the first tech companies to bring cloud-based computing power to logistics management. Expect to see more mergers of this kind in the future, with larger software companies recognizing the value in combining broader business management technology with logistics management. Attuning shipping with demand forecasting brings us to another persistent issue identified by suppliers - the limited consideration of inbound shipping issues on the retail side. Some of this, at least, springs from a lack of communication between buyers and their logistics colleagues down the hall. As a result, freight moves are inefficient and supply is poorly matched with demand – a classic supply chain no-no. It’s just one of many ways in which working together by sharing information is important. Overall, our experience proves that collaboration really does work – benefitting suppliers and retailers with measurable savings and improvement in stock-outs and other important metrics. It takes good communication, however, and a willingness to adapt to an ever-changing marketplace.